The history of St. Alphonsa Region in F.C. 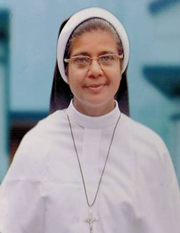 C. is closely connected with that of St. Joseph's Province, Malabar which was established in 1974. This Province itself was part and parcel of Alphonsa province, Pala of Franciscan Clarist Congregation. The first Bishop of Rajkot, Mar Jonas Thaliath of happy memory, when he started the administration of the Diocese of Rajkot, tried to bring womenreligious from various Congregations for service. Thus he invited our sisters also to work with him here. In response to his invitation our Provincial Rev. Mother Henry Suso and her team sent sisters for mission work in this diocese. 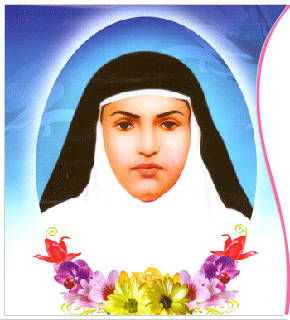 The first convent was started in Gondal in 1979.With the division of St. Joseph's Province in 1986 to form Mananthavady province and a further bifurcation to form Thamarassery province in 1993,the mission in Rajkot came under Thamarassery province.It was in 2012 that the idea of raising the mission to a Region was considered in theprovince. It was approved by the Superior General and thus our St.Alphonsa Region was inaugurated on 8th September 2012. ..
St. Alphonsa Region Welcomes You!